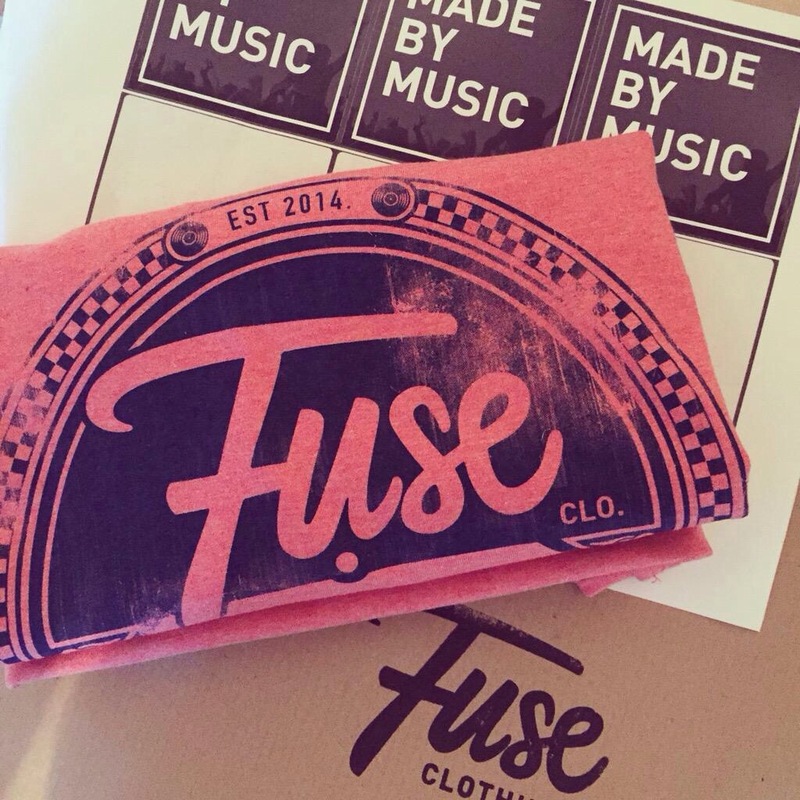 “Fuse Clothing brings together various music events. We use our experience and combine the moments that make music events special, producing high quality impact clothing designs to make sure you stand out from the crowd, while keeping that personal twist!” Fuse Clothing. 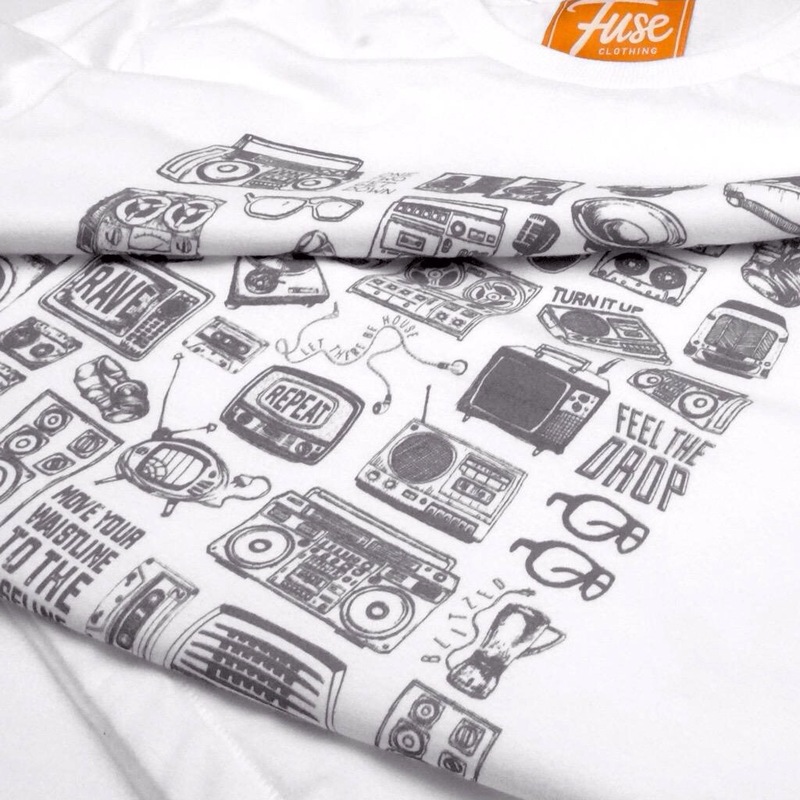 Fuse Clothing brings together influences from popular music events, using these experiences andmoments that make them special to create designs with impact that make sure you stand out from the crowd, while keeping that personal twist. Combined with expert print techniques developed over several years and meticulous attention to detail, we’re confident that you will not only love the designs, but also all the small details that make the products unique – from the packaging and labels to their beautiful quality. After launching in late 2014, Fuse Clothing has already started to establish itself as a popular brand with festival-goers, as well as hitting the streets of Manchester. With new designs being continually developed, the range is set for further expansion over the next few months, as a result of attracting interest from both smaller boutique shops and national chains. Along with the potential investment of sales agents, hopefully you will see Fuse Clothing popping up in a shop near you! This post is a collaborative piece written by Sam Davis (Fuse Clothing) and Dan Sinnott (High Street Gent).